A boutique-style PDP add-on drum priced for all players. 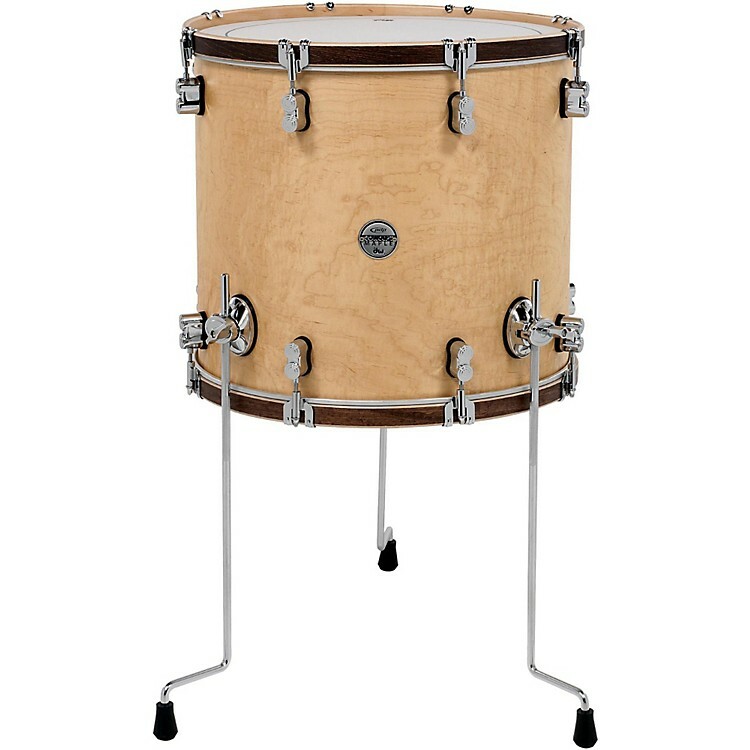 With retro looks and a warm vintage-style sound, this PDP Concept Series Classic Wood Hoop Floor Tom features all-maple shells and counter hoops (in a natural and tobacco finish, respectively). Recessed stamped claw hooks retain the plied maple hoops and add to the classic appeal. Hardware includes True Pitch tension rods, die cast low-mass claw hooks and durable lacquer finishes. Factor in these features and you have a series that unquestionably lives up to its DW roots. 14 in. x 14 in. or 18 in. x 16 in.